Farquhar Atoll lies 450 nautical miles southwest of Mahé. Farquhar Atoll is part of the Farquhar Group of Islands that are part of the Outer Islands of the Seychelles. The total area of the Atoll is 105 square miles, which includes the large ear-shaped lagoon. Here, you'll find some of the best saltwater fishing in the world. Farquhar island is home to sand dunes up to 75-feet high and is an important nesting site for turtles. 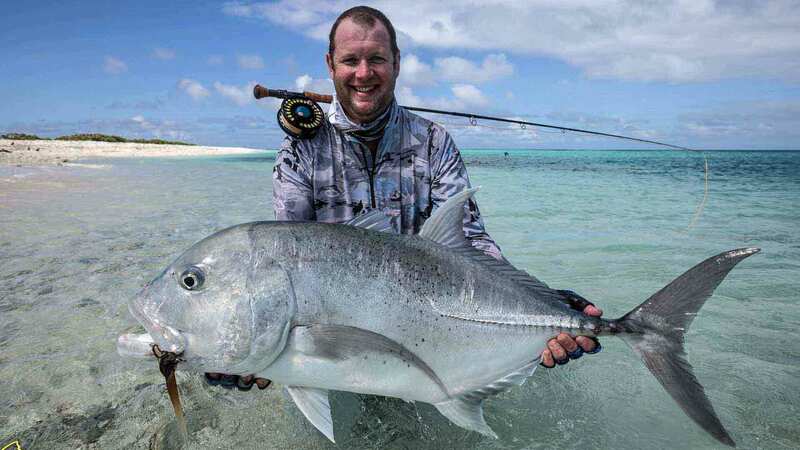 Farquhar has some of the finest most productive flats the Indian Ocean has to offer with incredible diversity. 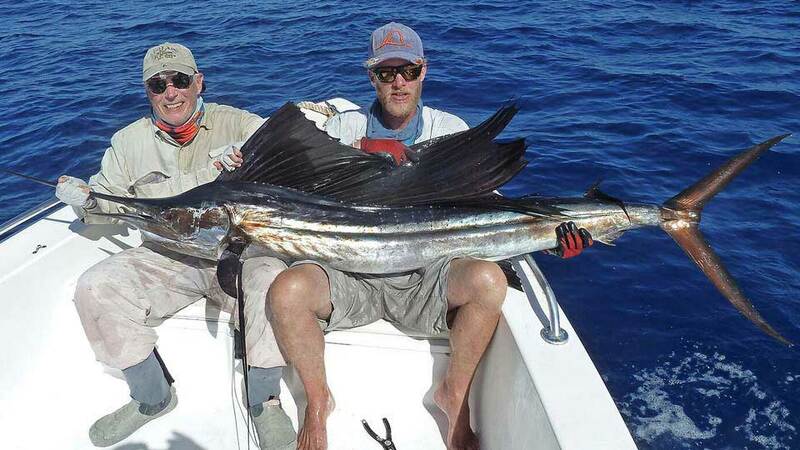 Endless flats fishing opportunities and fantastic offshore fishing. 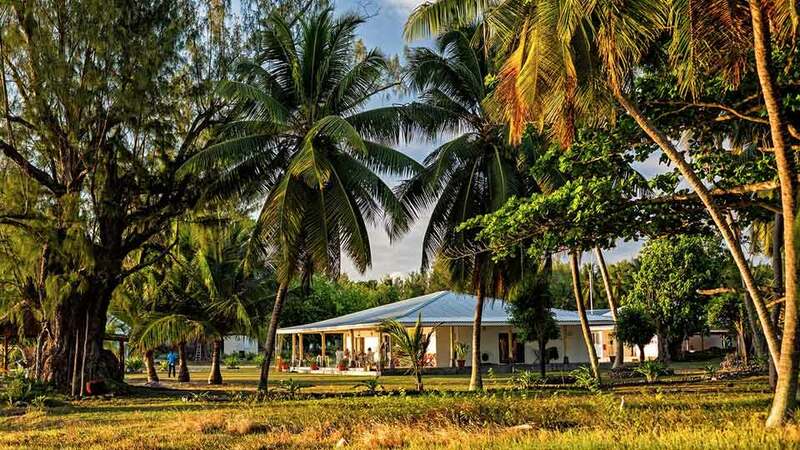 Farquhar is the ideal destination for anglers who want to explore the Seychelles and stay at a land-based lodge. 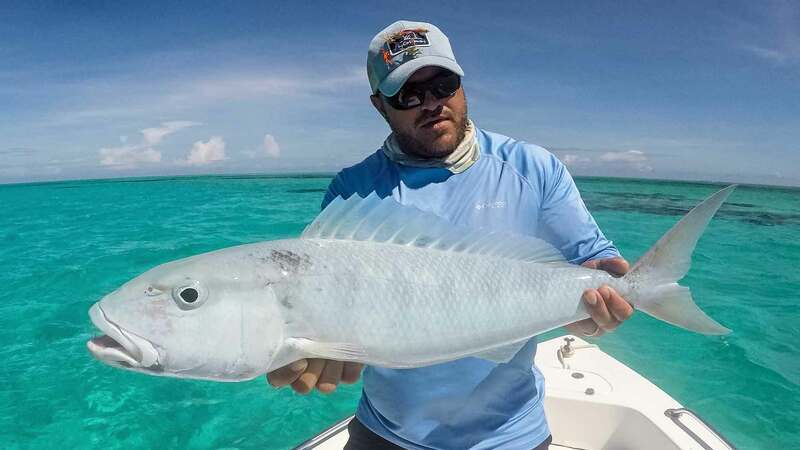 Flats Species: Wade and sight fish to a variety of species including bonefish, trophy giant trevally, plus other trevally species, permit, triggerfish, bumphead parrotfish, barracuda, bohar snapper, milkfish and more. Blue Water Species: Giant trevally, barracuda, wahoo, yellowfin tuna, dogtooth tuna, grouper, snapper, sailfish and more. Endless Flats: The hard white sand, turtle grass or coral flats of Farquhar make for easy wading. Proper footwear is mandatory. • and St. Brandon's Atoll. Farquhar GT Fishing 1:27 minute YouTube video. 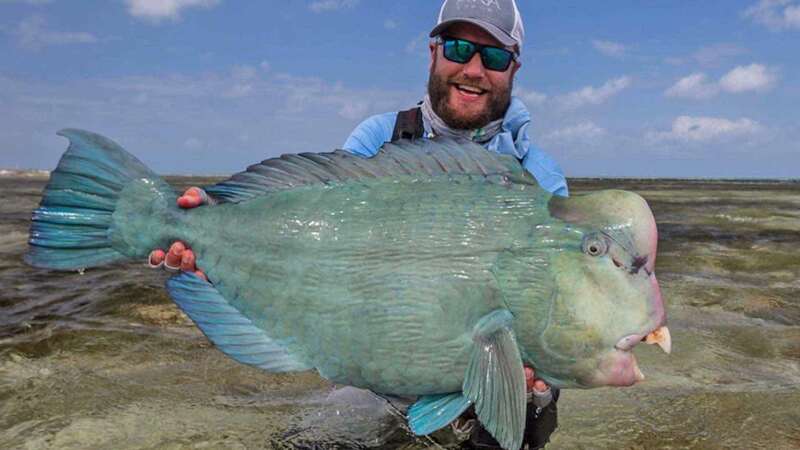 The Agua Hulk 3:47 YouTube video - about Humphead Parrotfish on Farquhar. Two Seasons: October - December and late February to early May. Over the years, FlyCastaway has determined the best weather/peak fishing months. January is the rainiest month in the Seychelles. Lodge Capacity: The Lodge caters to ten anglers per week. Two anglers per guide and boat. Guides: Five English-speaking guides are world-class, personable, and passionate about fishing. Each guide has a skipper's license, has completed a marine safety course, and basic first aid training. Boats: Five 17-foot Angler boats with 90 HP 2-stroke Yamaha motors, and two custom-built 18-foot panga skiffs with 25 HP, 2-stroke Yamaha motors. Fishing Equipment: is not included in the package. G-Loomis rods and high-end reels are available for rent and subject to a $150.00 breakage fee. A comprehensive tackle and gear list is included in our confirmation packet. Fishing License is included in the package. The fabled and tricky milkfish. 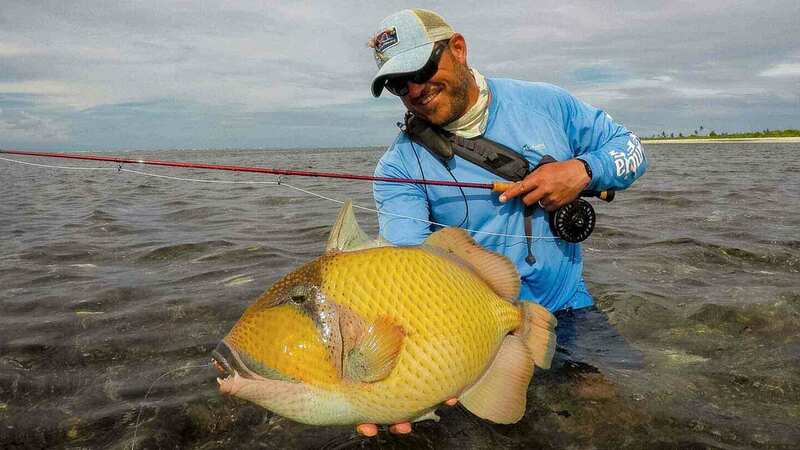 Triggerfishing, too at Farquhar Atoll. The newly-built lodge is beside the large inner lagoon. The Lodge was rebuilt (due to a hurricane in 2016) and up and running in 2017. 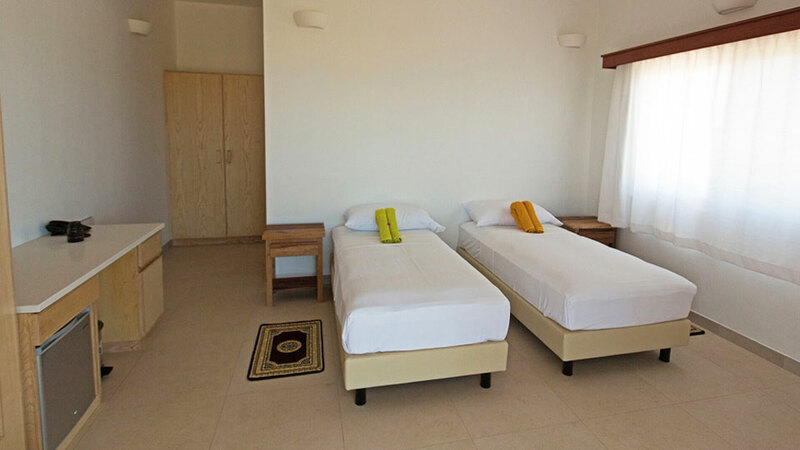 The Lodge has three air-conditioned duplex-style chalets with a total of six bedrooms. 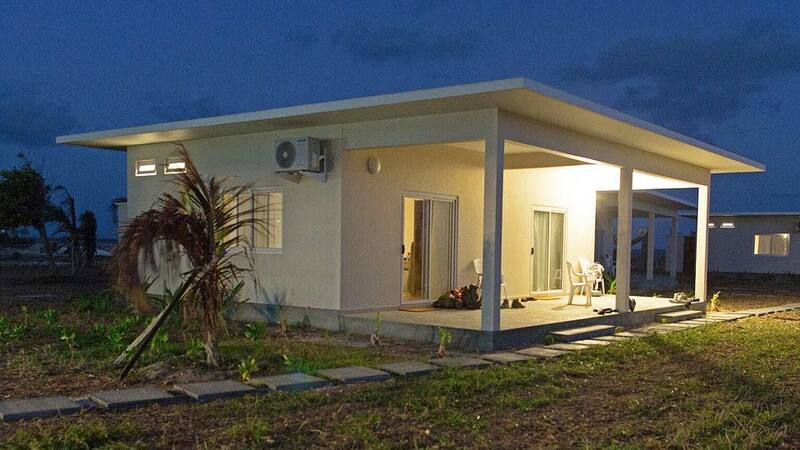 Each bedroom has two twin beds, a mini-fridge, and an ensuite bathroom with plenty of hot water (via solar panels). Daily housekeeping is provided with free laundry service every third day. 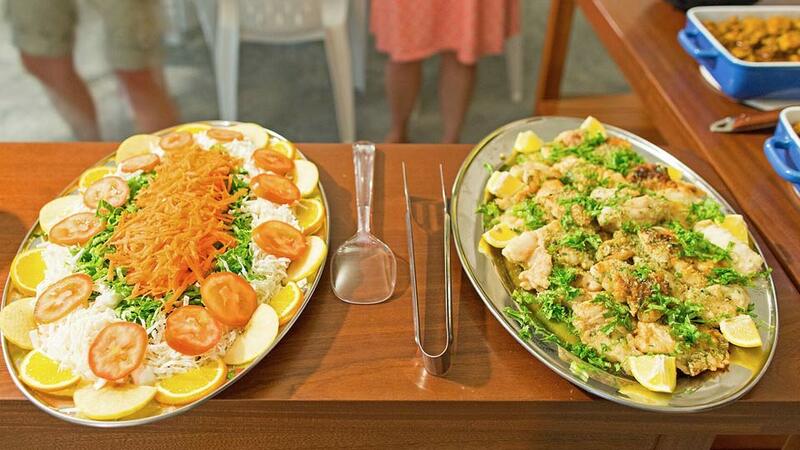 Meals: Chef-prepared meals are a combination of Creole and international dishes. You'll dine in the air-conditioned dining area that also has a lounge and bar. When the weather allows, there is a covered dining area near the water’s edge. Beverages: Packages include soft drinks and mineral water. Local beer and a basic selection of spirits and wine are available for purchase at the Lodge. Power: The chalets have around-the-clock electricity with 220-volt power (British square three-prong). You’ll need to bring an adapter. Communications: No cell phone reception or Wi-Fi is available. A phone card is needed for outgoing and incoming calls ($15.00 for 40-minutes talk time). Add $2,000,00 to the packages. Limited availability. 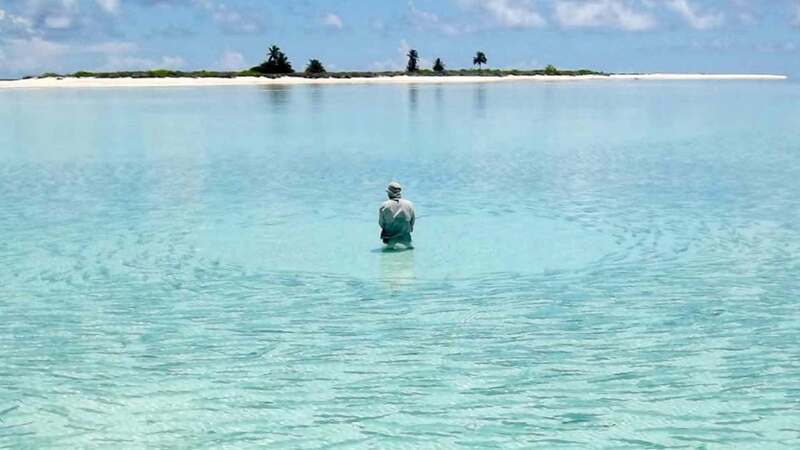 Land-based lodging on Farquhar Atoll, meals, soft drinks and mineral water at the Lodge, roundtrip charter flight Mahé/Farquhar, guided fishing, fishing license, Global Rescue Evacuation coverage ($100.00) and Conservation Fee ($175.00). International flights, hotel nights meals and ground transfers in Mahé, fishing gear, tackle and flies, beer, alcoholic drinks, phone calls/phone cards, gratuities for guides and staff, and anything not mentioned under inclusions. Mandatory medical evacuation insurance is mandatory but is included in the package rate. All guests are advised to have sufficient travel and trip insurance in place. We recommend the IMG Signature Travel Insurance package. Click here for our Travel Insurance page. Day 1: You'll take the flight from Mahé to Farquhar Atoll. After lunch and a brief orientation, you'll have the afternoon free to take in some fishing. Day 2-7: Six full days of guided fishing. Day 8: You'll take the charter flight back to Mahé and in the evening, your international flight home or if desired, stay another night in Mahé (not included in the package). Farquhar's world-class guides are typically from the Seychelles or South Africa and speak fluent English. Whether it be stalking finicky Triggerfish, hunting down Giant Trevally or accurately presenting to Bumphead Parrotfish while on the flats or lining up Milkfish, teasing in Sailfish or dredging up monster Doggies whilst offshore, this guide team has the knowledge and communication skills to help you land the fish of a lifetime! The Lodge employs five 17-foot Angler skiffs with 90 HP 2-stroke outboard motors. 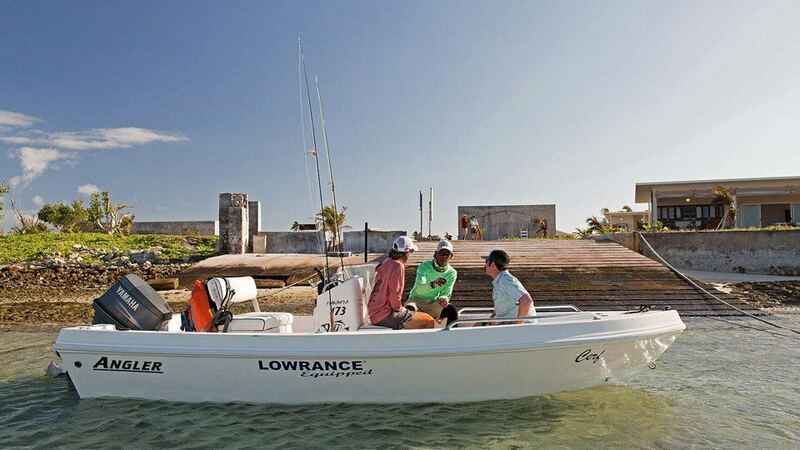 These boats are designed for both the flats and blue water and have fish finders, rod storage, bimini tops, and padded seats. The guides are qualified skippers. There are also two custom-built 18-foot panga skiffs with 25 HP, 2-stroke Yamaha motors. 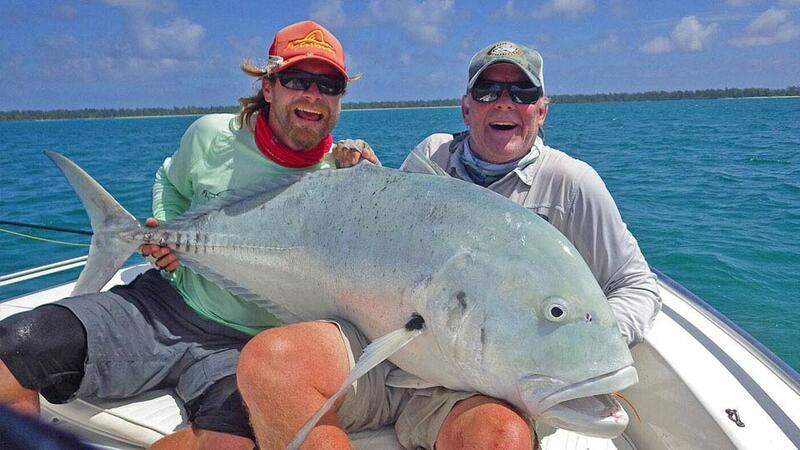 Farquhar is regarded as one of the best Giant Trevally fisheries in the world. 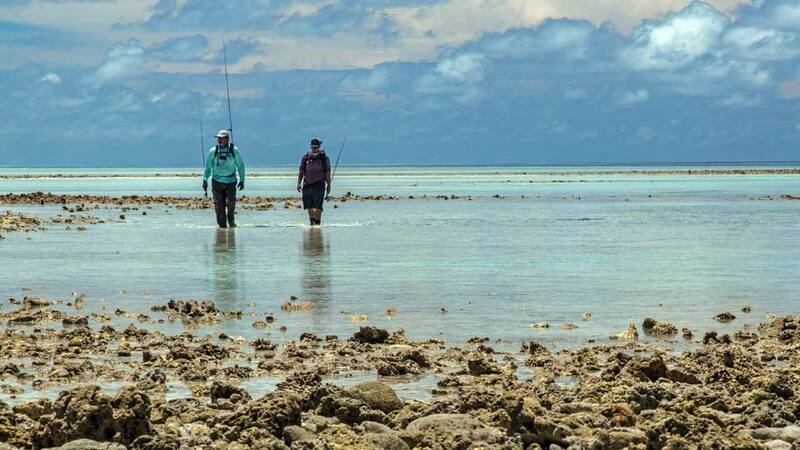 Most of the fishing is done by wading some of the best flats the Indian Ocean has to offer. Standard diver’s neoprene booties with a reinforced rubber sole are not appropriate. Protective flats wading boots are mandatory, or they will not take you out on the flats. Farquhar blue water is close to shore. Common species include giant trevally, sailfish barracuda, yellowfin tuna, wahoo, grouper, bohar snapper and more. Bumphead parrotfish are one of the many exotic species available at Farquhar Atoll. 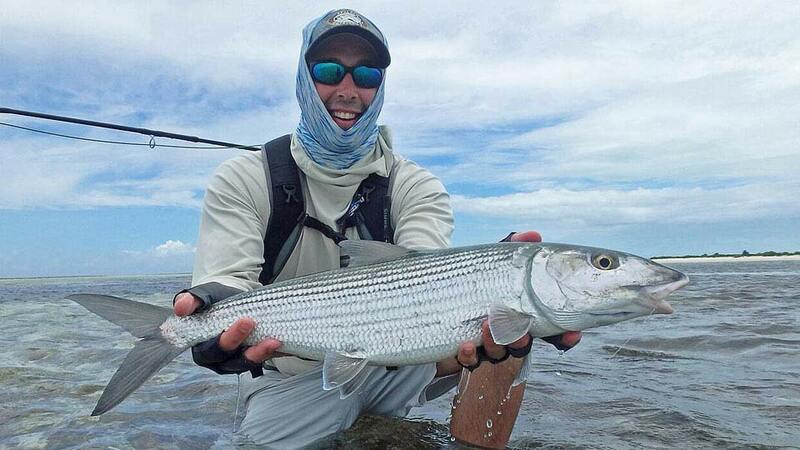 The outfitter recommends single-handed 9ft #9wt and 12wt saltwater outfits with matching tropical floating lines. G-Loomis rods teamed with Wade Caranx fly reels are available for rent, and subject to a $150.00 breakage fee. A comprehensive tackle and gear list is included in our confirmation packet. Chef-prepared meals are a combination of Creole and international dishes. The Lodge has an open-air dining room and bar. Newly-built (2017) duplex-style chalets have two bedrooms each with air-conditioning, 24-hour electricity with British plug points and private ensuite bathrooms with plenty of hot water.